This headline was today on TV, Facebook, newspapers and the rest of the social media. This is not the first time such numbers highlighting the sad economic situation of the world. As I am staring at these, my mind is trying to imagine the plight of the poor and could not wonder how a fraction of that 82% would change the lives of billions of poor people. To me, it was the only way I could interpret these tragic statistics and that made me extremely sad. Then the thought came to me that the rich 1% see this news and they have seen it before and has not changed their ways at all, and that thought made me feel helpless. I felt there is no hope and this widening gap between rich and the poor will continue growing, and no one can stop it. I questioned about our humanity that allows these disparities continue. Then I decided that for my part I will try to make this story not to go away fast so I am writing about it and hoping to bring it to the attention of as many people I can reach. 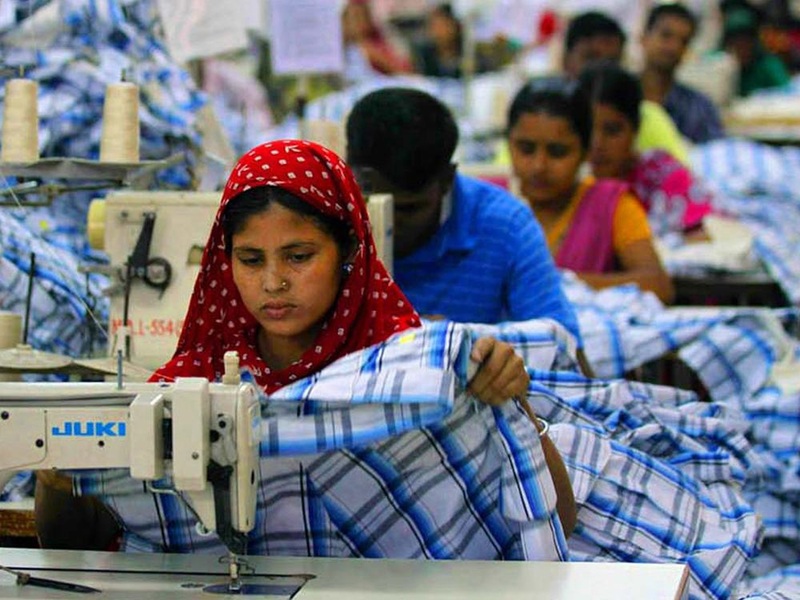 DAVOS, Switzerland — A CEO from one of the world’s top five global fashion brands has to work for just four days to earn what a garment worker in Bangladesh will earn in an entire lifetime, campaigning group Oxfam International said Monday. In the run-up to the World Economic Forum in the Swiss ski resort of Davos, Oxfam has sought to put inequality at the heart of this week’s deliberations of the rich and powerful. In its report “Reward Work, Not Wealth,” Oxfam says 82 percent of the wealth generated last year went to the richest 1 percent of the global population while the poorest half of the world’s population — 3.7 billion people — saw no increase in their wealth. Billionaire wealth, it added, has risen by an annual average of 13 percent since 2010, over six times more than the wages of average workers, and the number of billionaires rose at an astonishing rate of one every two days in the year to March 2017. Oxfam, which has sought for several years sought to highlight the problem of inequality on the eve of the World Economic Forum, said that without action, the populist and nationalist tides around the world will only become more acute. “We’ve seen a shift in narrative in terms of what people say, but we haven’t seen action to match those words,” said Nick Bryer, Oxfam’s Davos campaign manager. Governments, he said, need to “get back into the driving seat” and challenge the big corporations and the billionaires. “There’s plenty they can do,” he said. There is not much can be said about what this news and these statistics indicate. To me, they indicate a sick economic system that favours the rich and ignores the plight of the poor while humanity stands on the sidelines and watch it continue. I hope soon we wake up to the reality that we could be the instrument of the change and even though small but still change by creating in our hearts empathy for the poor and then doing what all we can to remedy this injustice. We all can make a difference by our actions, big or small. To stop this trend, we have to do some soul-searching and come to a course of action. We cannot close our eyes to these kinds of statistics and do nothing. The latest statistics really affected me!! This came at a time when twice I had noticed poor people buying all their food at the dollar store – all junk food in cans. What a contrast to my lifestyle and the quality of the food I buy, much of it organic. I decided, in recognition of the poorer people in our community, to reduce my “fancy” buying and perhaps I can give a little from the money I save to help those in need.